If you decided not to take advantage of yesterday’s Tokyo fares (which are still available, by the way), The Flight Deal is back with another solid deal to Asia. American and United are both offering discounted fares to Shanghai from Atlanta (ATL), Cleveland (CLE), Columbus (CMH), Dallas (DFW), Detroit (DTW), Houston (IAH), Miami (MIA), Philadelphia (PHL), Phoenix (PHX) and St. Louis (STL). The best deal is a non-stop flight from Dallas on American’s new 787 Dreamliner, priced at $653 roundtrip. One-stop flights from the cities listed above, plus a few others, are available for $667. Dallas (DFW)-Shanghai (PVG) for $653 on American. 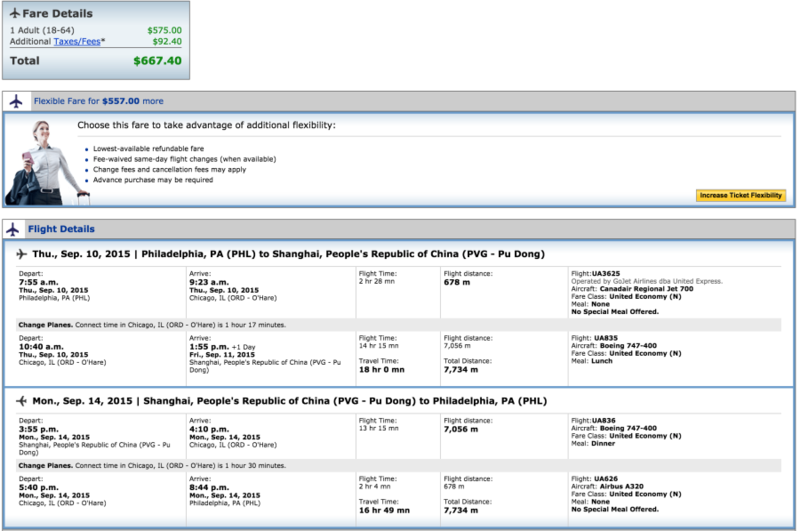 Dallas (DFW)-Shanghai (PVG) for $667 on United. 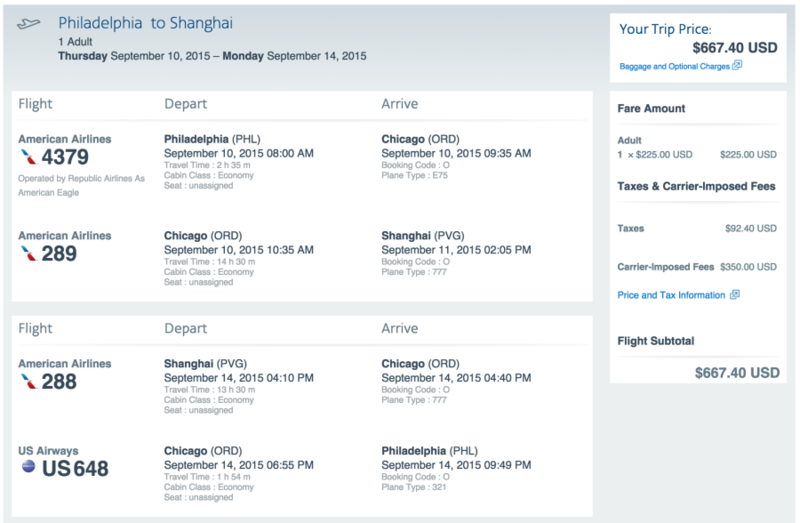 Philadelphia (PHL)-Shanghai (PVG) for $667 on United. As a reminder, you’ll need a tourist visa if you want to enter China — for help with visas we recommend our friends at Allied Passport & Visa. If you fly to Hong Kong, Macau or another destination at the beginning or end of your trip, you may be able to take advantage of China’s 72-hour visa waiver program. For example, you can book one of these fares, stop in Shanghai for 72 hours, continue on to Hong Kong on a separate ticket, then fly back through PVG to catch your AA or United flight home.